The Borders Colour Run is back in 2019! After the success of last years event, Live Borders along with Heriot-Watt University will host the event for the second year on Saturday, 16 March. 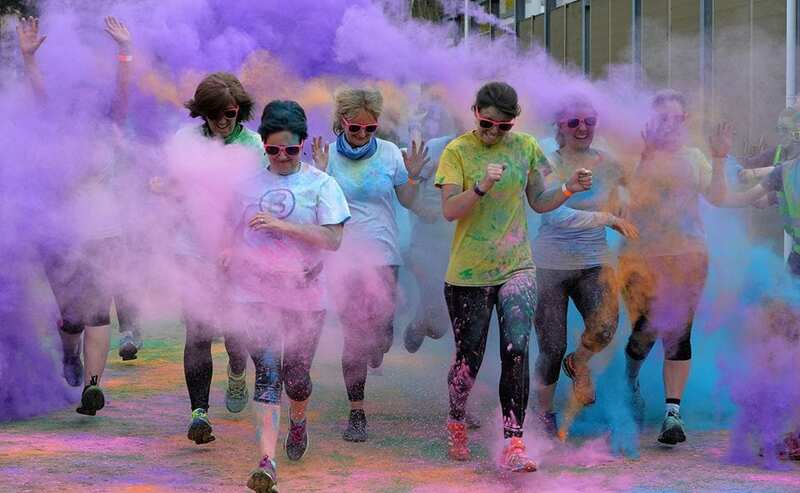 Participants are doused from head to toe in a rainbow of colours as they make their way around the 6km course. The event is open to all ages so come and enjoy the most colourful event of the year. Registration & Warm Up: 10:00-10:25. Event start 10:30.